Cathedral Princess Cut Diamond Wedding Set with Channel-Setting | Shane Co. 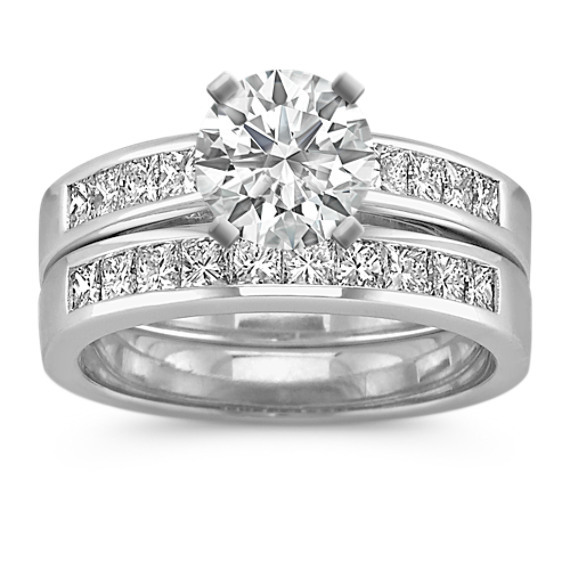 This gorgeous and classic wedding set is crafted in quality 14 karat white gold. Eighteen channel-set princess cut diamonds, at approximately .92 carat total weight, have been hand-matched for color and clarity to perfectly accent the center diamond of your choice. Gemstone Carat Weight :.92 ct. t.w.